City Beach online is making it even easier for you to shop for all your favourite brands whenever it suits you. Better still your order can be processed and delivered in just a few days so you'll be styling before you know it! We keep the shops, and our website, fresh by staying in touch with what you want from us. We have a simple philosophy of employing the people that live the City Beach life and giving you what you want when you want it. This same philosophy has seen us develop from being just another retail shop into playing a part in the day to day life of Australia's youth culture and lifestyle. 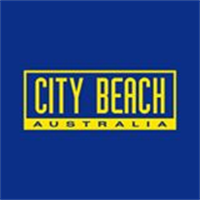 With stores in Perth, Darwin, Sydney, Melbourne, Brisbane and the Gold Coast, and now our online store, City Beach is still growing, and if we're not already around the corner, stay tuned, we'll be coming to a mall, or a screen, near you soon.